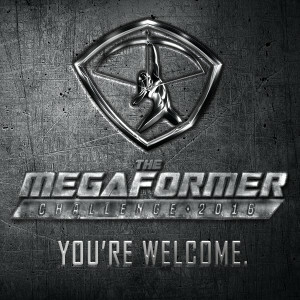 This May, participants from Lagree Fitness Studios around the world will take part in the 2016 Megaformer Challenge; a competition where contestants are being challenged to transform their bodies and minds and compete for the chance to win their very own Megaformer! Unlike other challenges where you are eligible to win just for showing up a certain number of times, this challenge is more personal and spiritual. Not only will the physical aspects of each participant be taken into account ie. body measurements and weight, but a questionnaire measuring the emotional and spiritual elements of each participant along with a before and after picture will also need to be submitted before and after the challenge. Other than contestants being required to attend at least 3 sessions per week at Lagree YYC, there’s no additional cost to participate, simply sign-up in-studio starting Monday April 25th. In addition to the M2S Megaformer grand prize, there will also be the opportunity to win a three month and/or one month unlimited contract to the contestant’s local studio from Lagree Fitness. Lagree YYC will have additional prizes for their own participants such as an unlimited summer membership and/or a $250 gift card from lululemon. Global Prize winners will be selected after all of the entries have been received by Lagree Fitness. Lagree YYC winners will be selected from all eligible contestants and the draw will be held in-studio on Friday June 3rd, 2016.